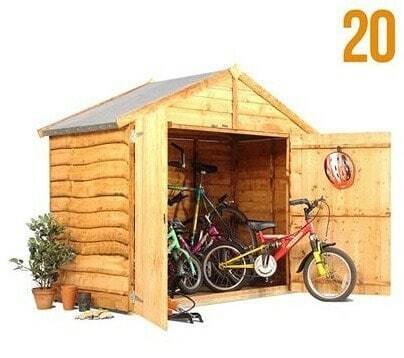 Extremely affordable yet in no way compromising on quality, this smaller, attractive bike shed will house all the family bicycles, kids’ scooters and other garden equipment perfectly; the large double doors allow easy access to what you have stored. 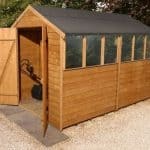 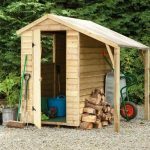 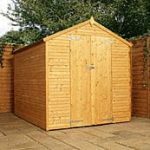 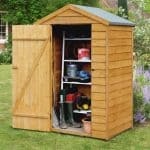 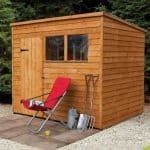 Also a handy secondary storage building for any garden and superb for limited spaces. 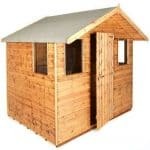 Constructed from long lasting and sturdy wood and with overlap cladding, it’s a great, affordable building.